The Klamath-Trinity Joint Unified School District faces more struggles with transparency and accountability. A community meeting with parents, teachers, tribal members and the ACLU further discussed what problems remain and what can be done about the district. KHSU's Natalya Estrada has more. The Klamath-Trinity Joint Unified School District continues to face more criticism of the Local Control Accountability Plan or LCAP. The board met in mid-February to approve the LCAP, but community members voiced their opinions against passing the LCAP—which primarily deals with the district’s budget and funds earmarked for at-risk students. Erika Tracy, the executive director of the Hoopa Tribal Education Association organized a meeting on Wednesday, with the ACLU and the Yurok Tribe, for parents, teachers and tribal members to discuss what experiences they’ve had within the district. The Klamath-Trinity Joint Unified School District's transparency problems are set to be discussed at a public meeting in Hoopa. KHSU's Natalya Estrada has more on this story. The Klamath-Trinity Joint Unified School District may have approved its latest 2019-2020 budget—also known as the Local Control Accountability Plan (LCAP)—but the struggles for more community engagement and district transparency with the funding remain. On Wednesday, tribal communities, parents with children in the district, and the ACLU plan to meet in Hoopa to discuss more options toward fixing major problems within the district. Live Your Language shares and celebrates the Native languages of northwestern California. This segment shares the Yurok way to share where you are from. Margo Robbins is the Indian Education Director for the Klamath-Trinity School District. KHSU had a chance to sit down with Margo to discuss her role in helping to provide a well-rounded and culturally appropriate educational experience. From trainings for administrators and revamping curriculum to field trips for the youth, Margo and her team work to ensure the best possible future for the students. Food For Thought ventured to Klamath, CA for the annual Salmon Festival. Deliciousness wafting in the air, Jennifer Bell talked with members of the Gensaw family as they prepared Klamath River salmon for festivalgoers. Jennifer Bell continues her discussion about traditional basketry with Lena Hurd. Jen and Lena talk about maintaining healthy ecological connections and the importance of continuing to share local Native tradition with youth. Danielle Orr shares her engaging discussion with Abby Abinanti, Chief Judge of the Yurok Tribe, about restorative justice and the Tribal Court system. By addressing the root causes of crime, they are modeling restorative systems that are working. Mainstream courts across the country are beginning to take notice. On this week's Food For Thought, Jennifer Bell continues the discussion about traditional Tribal foods with Yurok basketweaver Lena Hurd. From baynuts and seaweed to the abundance in the rivers, Lena shares the harvest from Yurok Country. "Rivers carry more than just water – they also carry sediment which is very important to a river’s function and its ability to naturally regulate itself from diseases." In many ways, language expresses worldview. Leo Canez introduces us to the meaning and useage of 'Ayekwee' (Oyekwee) in the Yurok language. This fall, the number of chinook salmon making their way from the ocean up the Klamath River in the far northwest corner of California is the lowest on record. That’s devastating news for the Yurok tribe, which has lived along and fished the Klamath for centuries. Salmon is integral to their entire culture and way of life, essential to Yurok ceremonies, for food, and for income. Cousins Erika Chavez and Jerome Nick Jr. both work for the Yurok Tribal Fisheries Department, and they’re patrolling the Klamath where the river flows into the Pacific Ocean. As the Yurok Tribe works to reacquire its land base, it's partnered with the Natural Resources Conservation Service to advance ecological and cultural goals. Tim Hayden, the Yurok Tribe's Natural Resource Division Lead, and Jon Shulz of the Natural Resources Conservation Service talk to EPIC's Tom Wheeler about the tribe's conservation efforts. Yurok tribal land acquisition, conservation, and management. Ríos to Rivers has a new exchange between young people of the Klamath River Basin and the Río Baker in Patagonia, Chile. Through cultural exchange and place-based experiences, young people are educated and empowered to become the next generation of river stewards. "Returning the California condor to the Pacific Northwest is part of the YurokTribe’s obligation to heal the world," says the Tribe's website. Since 2003, the Yurok Tribe has endeavored to bring one of California's most iconic birds back to the North Coast. The Yurok Tribe is making sure that NorCal is ready for California Condor reintroduction. "We think there are some issues with the decision ... that could be easily reversible under a Trump administration," says Pete Nichols of Waterkeeper Alliance. 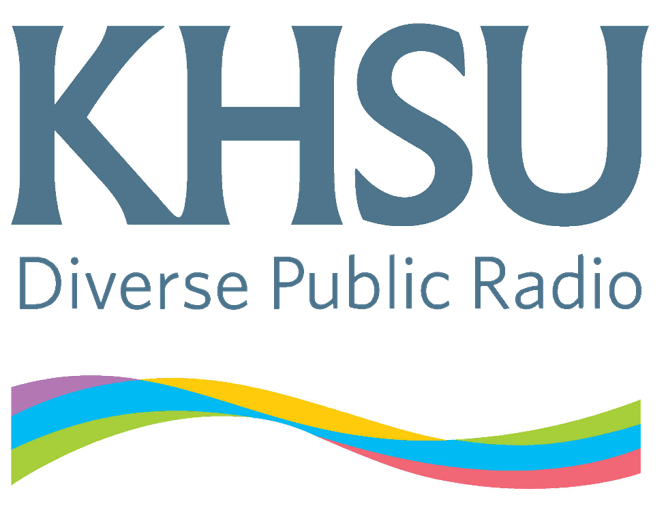 Hupa Tribal member Nah-Tes Jackson and Klamath Riverkeeper Konrad Fisher talk to KHSU from Standing Rock about water rights and the water protectors. On this week's North Coast Update, Lupe Gutierrez and Susan Andrews report on a new grant to be used by the Yurok Tribe to preserve the Yurok language. The money will be used to teach the language, as well as training Yurok speakers to educate others.